Primarily funded through the generous support of the Nebraska Department of Environmental Quality (NDEQ), the Nebraska Center for Sustainable Construction (NCSC) takes the “reduce, recycle, reuse” mantra into the realm of the construction industry and the built environment. NCSC has established services to building owners and the construction industry for the reduction of construction waste and building demolition materials in community landfills. The center established EcoStores in 2004 as a salvaged materials sales venue as an alternative to the usual demolition and disposal of buildings as waste. Through EcoStores, NCSC is organized to stimulate and supply the re-use and recycling of construction materials back into the economy of construction in eastern Nebraska. In partnership with the Nebraska State Building Division, the City of Lincoln, and the Lincoln Action Program, the NCSC conducts job training and educational programs for sustainable and green construction methods across the state. 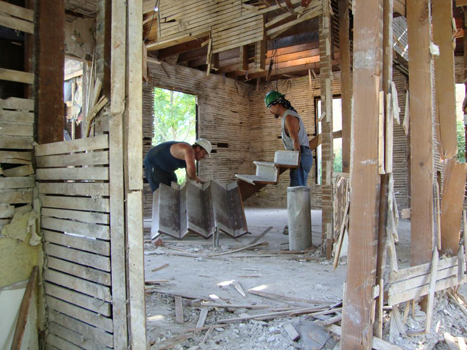 One of the key programs of NCSC is DeConstruction Nebraska, through which people are trained to deconstruct houses and buildings, sorting and salvaging reusable building materials for later sale at EcoStores. The learning process that takes place in this program helps participants to better understand the construction process as well. In 2010, NCSC became the parent to EcoProducts and Services Center (EPSC), a clearinghouse for regional businesses to promote their green products and services and to provide programs and information on all things green in the Lincoln area. The NCSC is located at 530 P Street in Lincoln.